When talking about Paramount Business Jets®, there’s one thing you would often associate with them: transparency. It is, after all, one of the tenets Paramount builds its business around. And it shows—from the expense breakdown given to the way it looks into its operators, the company ensures that there’s a clear line of communication with its customers and a premium on building trust with them. One could say that a good chunk of this is thanks to its founder’s background. Richard Zaher is a former pilot who had graduated from Embry-Riddle Aeronautical University, having received his Bachelor’s degree in Aerospace Studies and a minor in both Flight Safety and Psychology. He would then continue to work in aviation for two decades, with one highlight being the Chairman for ACANA or Air Charter Association of North America. It’s with this background that informs a lot of how Paramount is run and how its standards are built, and it’s something that’s passed on to each of its staff through rigorous training and reviews. And, not surprisingly, it’s also what’s brought the company to push forward when it comes to innovating themselves—in 2014, they introduced their new jet card membership programs. And in 2016, they established a new aircraft sales division to further build on a new segment of customer demand and client relationships. Platinum Services Jet Card. The more standard of the two, Paramount’s Platinum Services card provides you with a Personal Flight Team who will cater to your flight needs, from your schedule to aircraft particulars. You also get access to Paramount’s global network of aircraft operators and VIP Concierge services. Paramount Black Card. With the Black Card, you can avail of all the services provided by the Platinum Services Card, with additional benefits. This includes easy smartphone booking and access to premium aircraft. Transparency when it comes to invoicing from vendors. 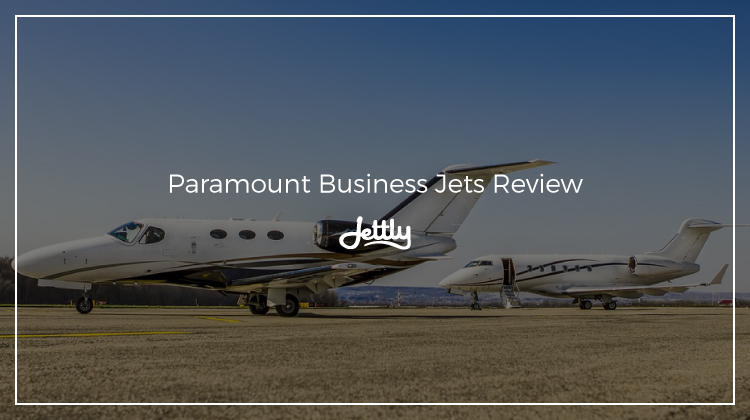 True to Paramount’s mission, its jet card programs ensure full transparency when it comes to getting your invoices from its various vendors as well as the price of each service. No hidden fees here! Operators and crew are ARG/US rated in safety. Of course, aside from transparency the company also greatly values customer safety—so much so that it ensures that its crew and vendors adhere to its safety standards. You’re sure to know that you’re in trusted hands. Reliable backup options for every trip. Sometimes things don’t go as planned, particularly with trip schedules. Nonetheless, when that time comes, Paramount ensures that you won’t be left hanging. Disclaimer: Jettly is in no way affiliated with Paramount Business Jets. Paramount Business Jets is a registered trademark of Paramount Business Jets.